Every year I wrap up our favorite Christmas book and put them under our Christmas tree. Each night our children unwrap one for us to read as a family. 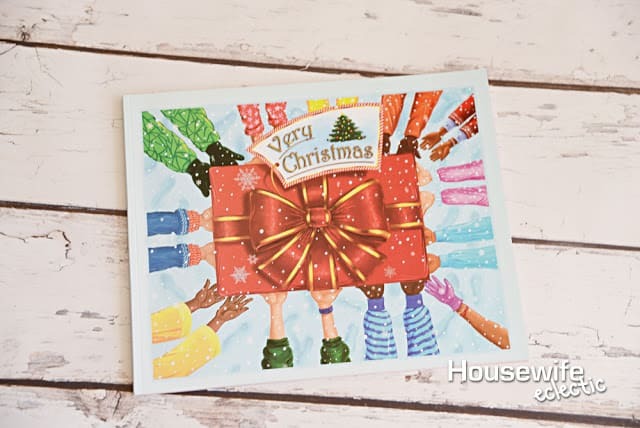 From books about the Nativity to books about Santa Claus, these are some of our VERY favorite Christmas Picture books to find waiting for us under the tree each year. Very Christmas by Simone Mets– This bright and fun picture book is illustrated more with words and fonts than pictures. Very Christmas is the sweet story of what happens when Santa’s workshop is ruined and Christmas is cancelled. Ava Buttons comes up with a wonderful and selfless idea to save Christmas and she gets everyone involved. I LOVE this book, it is the perfect book for teaching selfless giving and helping others. I didn’t think my kids were going to love the colorful words instead of pictures but they were thrilled with this different and fun book. 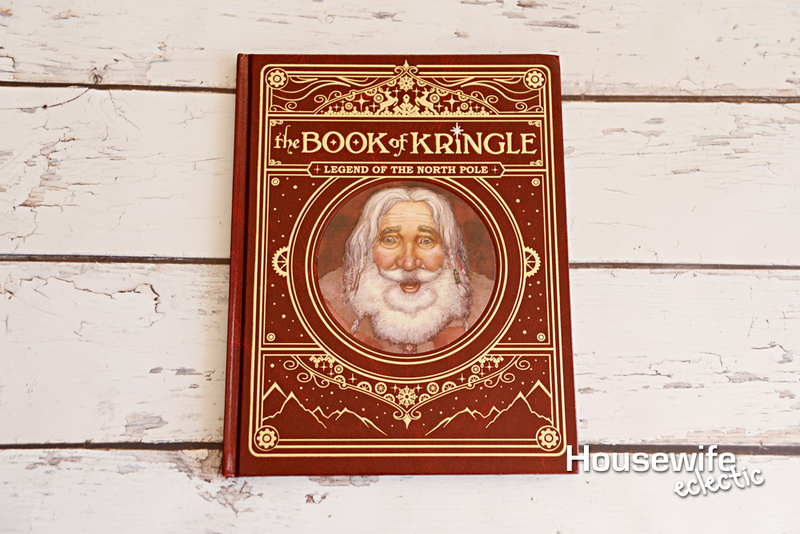 The Book of Kringle by Derek Velez Partridge– This beautifully illustrated book explores Santa’s origins. In a magical land where his greedy brother rules and overworks the poor elves, Kris wants more. He wants happiness and joy in life. Through the help of a very special elf, Santa finds his true self. 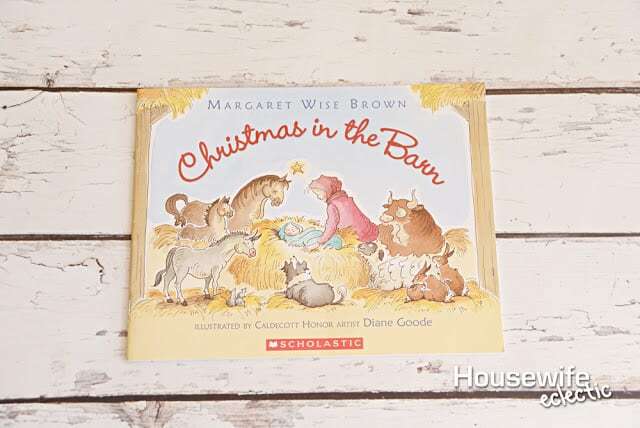 Christmas in the Barn by Margaret Wise Brown – This sweet rhyming Christmas book tells the story of the nativity focused on the stable and animals. 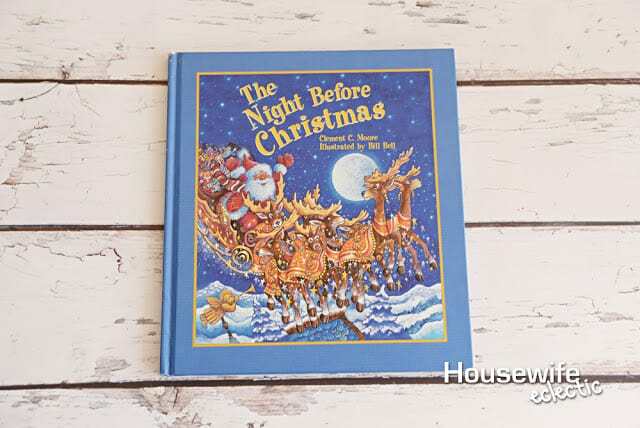 The Night Before Christmas by Clement C. Moore, illustrated by Bill Bell– This is my favorite version of this story. The pictures are colorful and vibrant making reading this book so much fun. If You Take a Mouse to the Movies by Laura Numeroff– The Christmas version of “If You Give a Mouse a Cookie,” is a familiar and fun book anyone who loves the little mouse will adore. 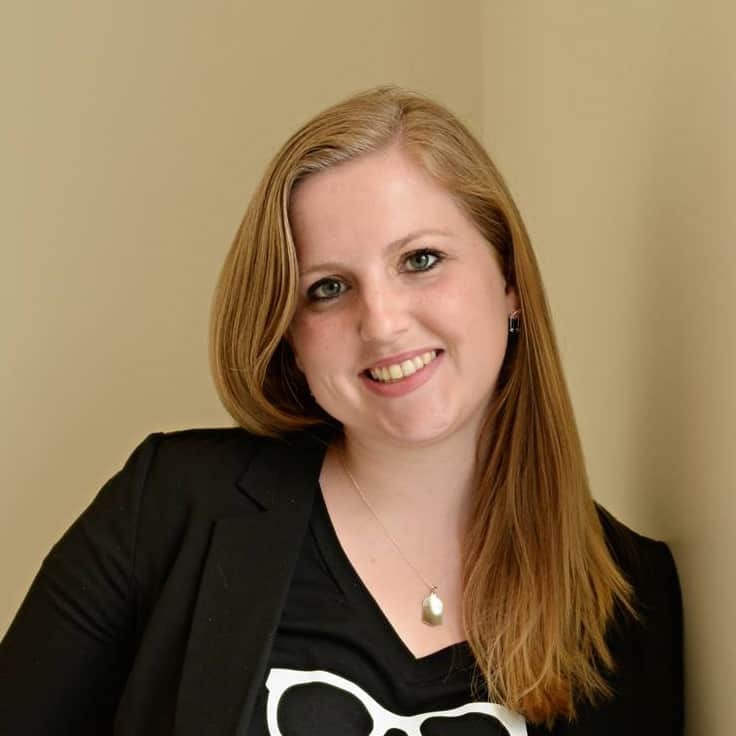 The Christmas Surprise by Maggie Kneen– Every member of a piggy family tells what their favorite part of Christmas is. From stories and carols to all the treats they talk about what their favorite part of Christmas is, but what about the smallest piglet? What is his favorite part of Christmas? How the Grinch Stole Christmas by Dr. Seuss– Every family needs to read this classic Christmas tale each year. When the Grinch steals Christmas he learns a valuable lesson about the true meaning of Christmas. We always read this one and watch the cartoon movie about a hundred times before Christmas Day. The Donkey’s Christmas Song by Nancy TaFuri– This Nativity story is about all of the animals that sang to Jesus on the night of his birth. 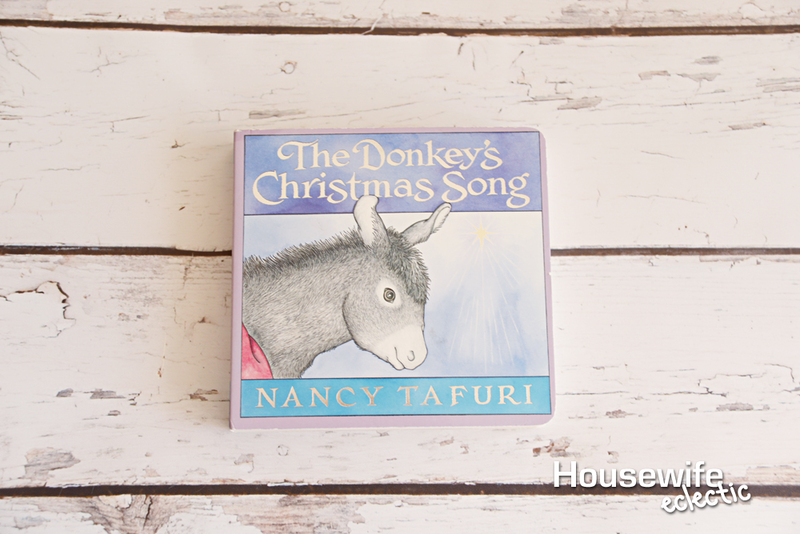 The Donkey is scared to join in and sing too, because his song is not soft or pretty like the other animals. Soon Donkey his song has a important place too. 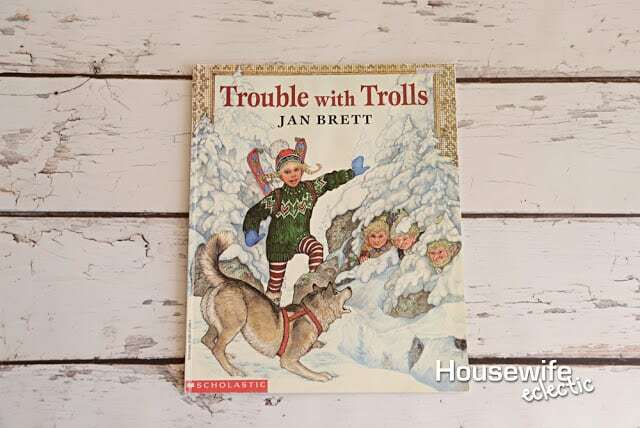 Trouble with Trolls by Jan Brett– I am not sure this technically classifies as a Christmas book but it is full of snows, skies and funny little trolls so I count it. This story of Treva and her dog Tuffi and how they outwit the trolls on top of Mount Baldy. It is a favorite story in our house. Who doesn’t love trolls? Little Critter’s The Night Before Christmas by Mercer Mayer– This telling of the classic Night Before Christmas story uses the classic words paired with darling Little Critter’s pictures. It is the perfect version of The Night Before Christmas to read to your little ones. Mooseltoe by Margie Palatini– When moose starts getting his house ready for Christmas he decks the halls and bakes the goodies, but he forgets the tree! Whatever will they do! Moosetache to the rescue! This book makes my children laugh out loud. It is definitely a silly favorite around here. 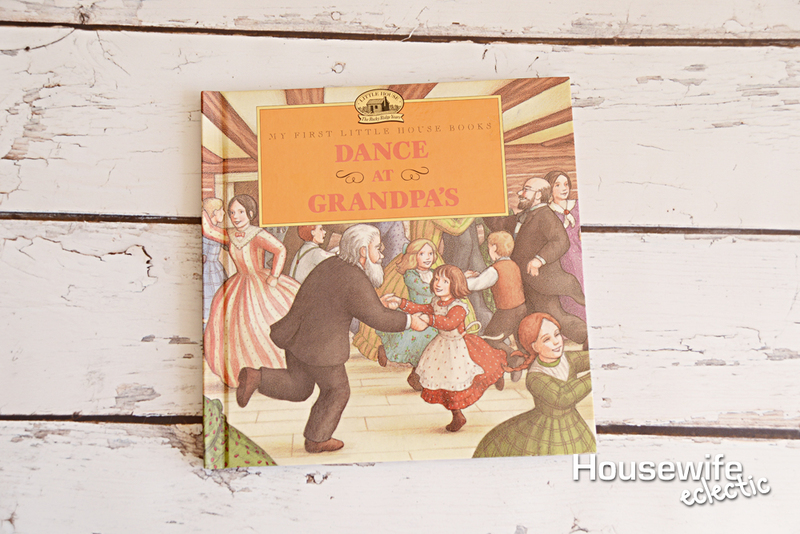 Dance at Grandpa’s by Laura Ingalls Wilder– Little House fans this book is for you. Dance at Grandpa’s is a retelling of Laura’s Christmas from Little House in the Big Woods, is is gorgeously illustrated and the perfect way to introduce your kids to everybody’s favorite prairie girl. 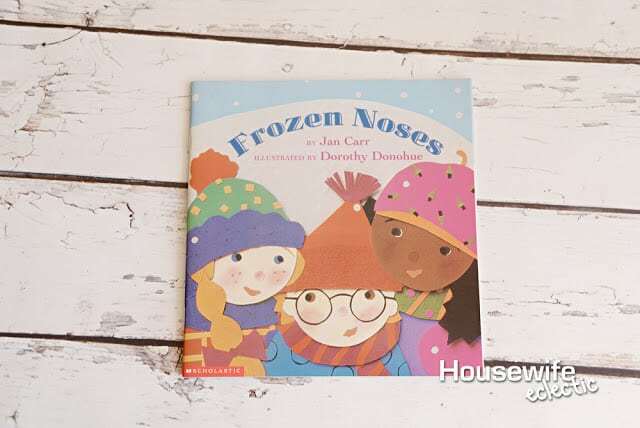 Frozen Noses by Jan Carr- This short and simple book is written in such a fun rhythm it is easy to memorize. It is the perfect book to read after a day playing in the snow. How Santa Got His Job by Stephen Krensky and S.D. 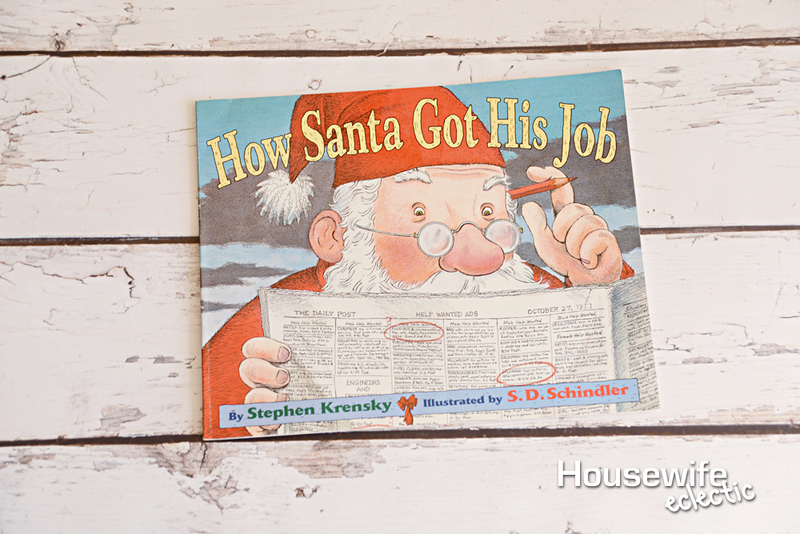 Schindler – Have you ever wondered what Santa’s first job was? From chimney sweep to mail carrier this book takes you through all of the jobs that prepared him to be Santa and how he finally landed the job as the big man himself! Gingerbread Baby by Jan Brett– When Matti can help but open the oven before his gingerbread man is done cooking, out jumps a gingerbread baby! The whole town gets in on the action as they try to track down this gingerbread little one. 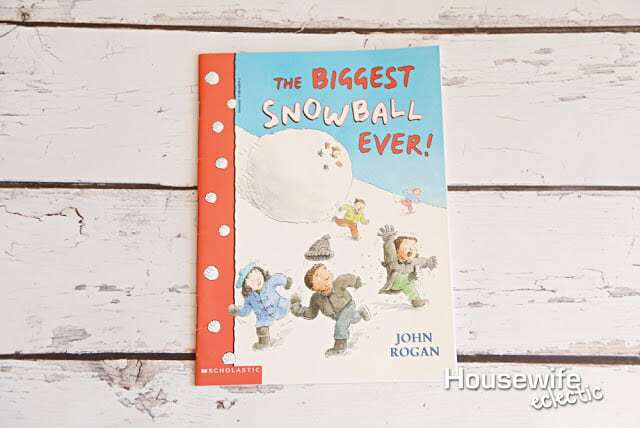 The Biggest Snowball Ever by John Rogan– When Paul slips during a snowball fight, he becomes part of the snowball! This silly and fun rhyming book ends with the Biggest Snowball Ever. 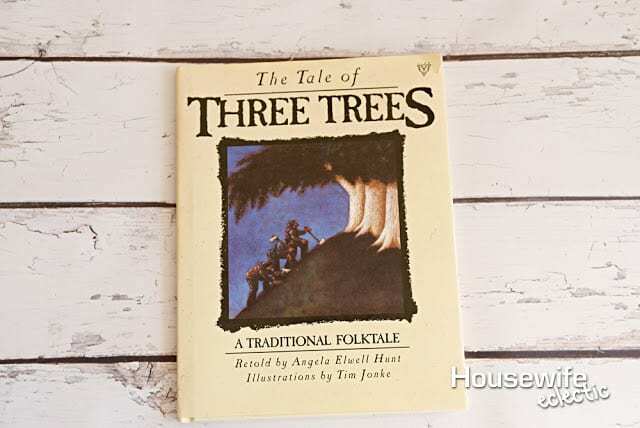 The Tale of Three Trees Retold by Angela Elwell Hunt– A beautiful story about three trees and what they dream of becoming. One wants to hold treasure, one wants to be a ship and the last tree wants to become something that makes people raise their eyes to heaven. Each of the trees fulfills their dream in a different but beautiful way. 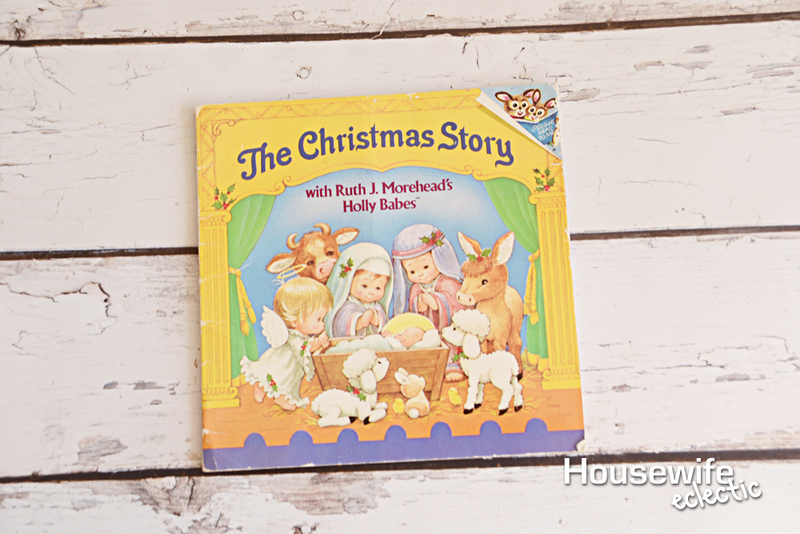 The Christmas Story with Ruth J. Morehead’s Holly Babes– This telling of the Nativity has been a favorite of mine since I was a child. With illustrations depicting sweet toddlers as if they are acting out a pageant, it is one I have read again and again. 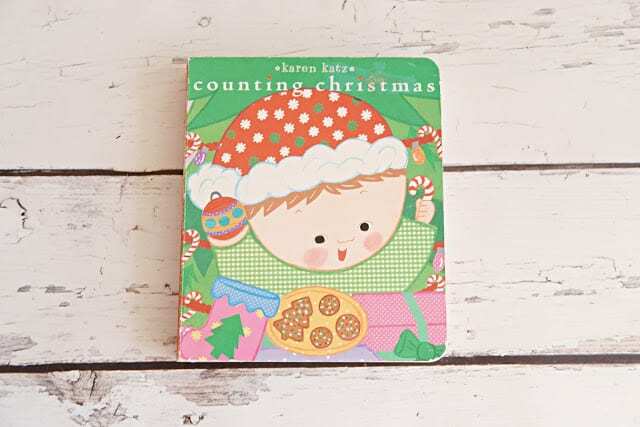 Counting Christmas by Karen Katz– Perfect for even the littlest ones, this book counts down from ten with all of the magical things about Christmas. Who Will Guide My Sleigh Tonight? 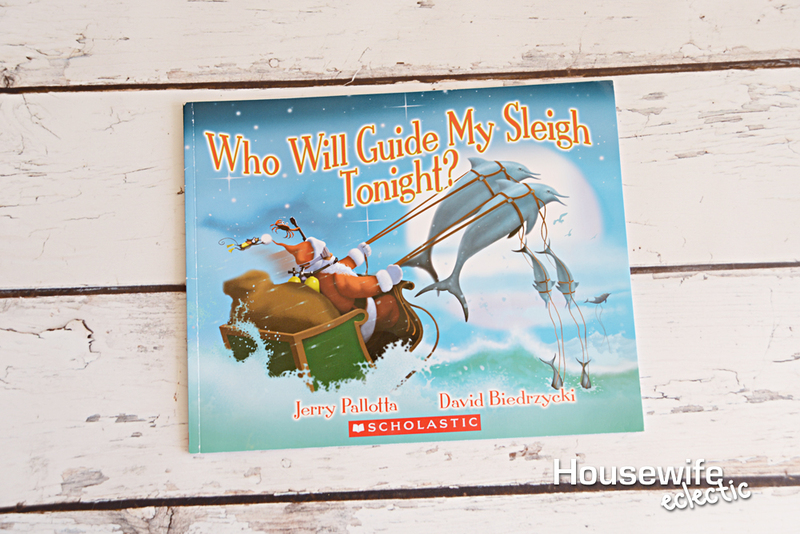 by Jerry Pallotta and David Biedrzycki– Why did Santa choose reindeer to lead his sleigh? Did he try other animals first? This book answers that questions and shows why tigers, dolphins and even skunks didn’t work out on his sleigh team. It is a fun and fast read that my kids love. The Christmas Story by Carol Heyer– If you are looking for a detailed telling of the Nativity that is still on a child’s level this book is beautiful. It talks about the angel appearing to both Mary and Joseph, the journey to Bethlehem and makes sure to point out that it took many months for the Wiseman to reach the baby. 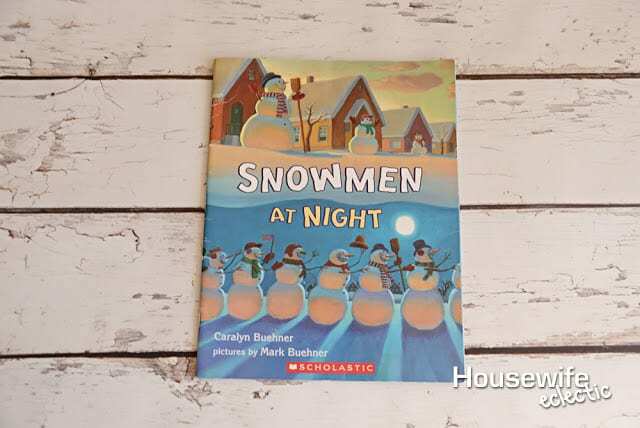 Snowman at Christmas by Caralyn Buehner and Mark Buehner- One of our VERY favorite Christmas books, this fun book is a sequel of sorts to Snowmen at Night. It tells how snowmen get in the Christmas spirit and how the celebrate the most wonderful time of the year. 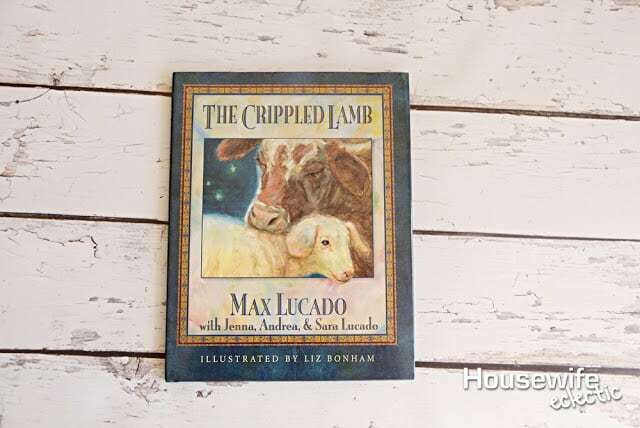 The Crippled Lamb by Max Lucado– Joshua is often sad and lonely. He can’t run or jump like the other lambs because of his crippled leg. One night he is sent back to the stable because of his leg and just when he feels at his lowest he discovers that there is a plan for him when he is able to keep the baby Jesus warm. 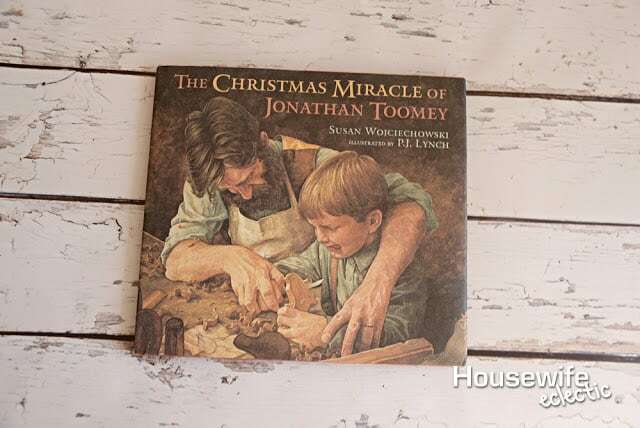 The Christmas Miracle of Jonathan Toomey by Susan Wojciechowski– Words cannot accurately describe how I feel about this book. It is beautiful. Jonathan Toomey is a grumpy woodcarver who never smiles. One December a widow and her young son come to Jonathan asking him to carve a new nativity set for her. When the young son begs to come and watch Jonathan carve every day, slowly a miracle starts to occur. I adore this book and I love sharing it with my children, Thomas, the little boy is the miracle of this story and he is absolutely darling too. The Polar Express by Chris Van Allsburg – Would a list about Christmas picture books be complete without the Polar Express? The beautiful illustrated book about believing was the definitive children’s Christmas book when I was growing up for good reason. 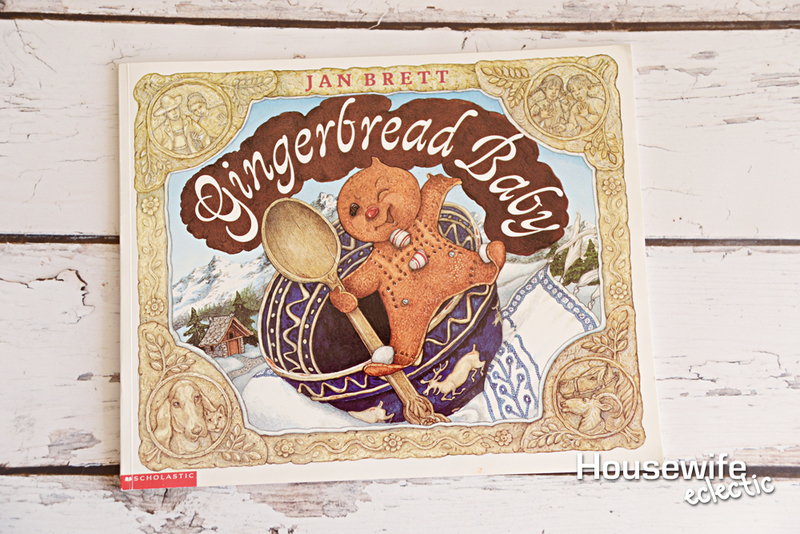 What is your favorite Christmas Picture book? I will start a readers recommended list to add to this post! oh what a great list of books!! I have been wanting to get books for my nieces and nephews for Christmas and this is a good list of books to pick out for them! This is a fantastic list of books. Pinned and am going to share it on my regular facebook page for all my teacher friends and young parent freinds. All of these books make me really excited for the holidays! Nothing better than Christmas with all these festive books and feelings! You've listed so many of my favorites! There's also a follow up to Trouble With Trolls called Christmas Trolls, I'm a huge JAn Brett fan! I am so happy to stumble upon a list of book recommendations. It's become a family tradition to bestow some great reads to our little nieces and nephews and write them a little love note inside. Great ideas! I love reading about holidays to teach my toddler before the actual date of the holiday. I would give these as a gift and add it to our nightly reading. 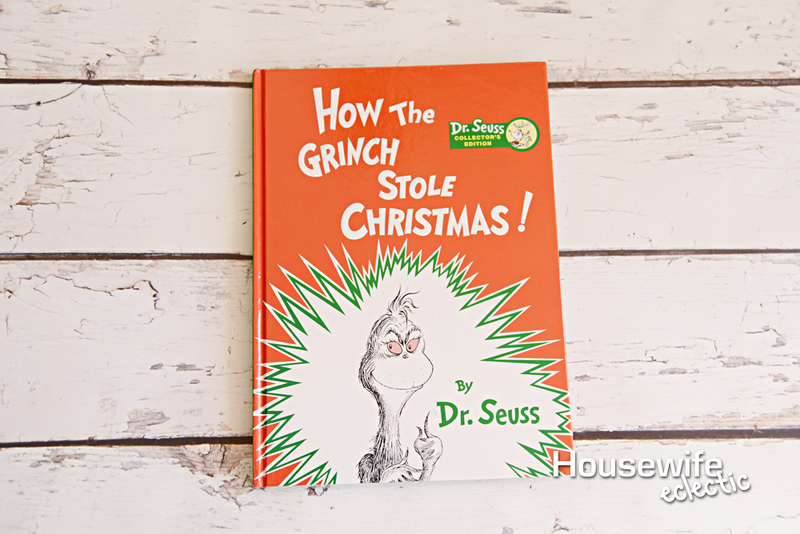 We love How the Grinch Stole Christmas by Dr. Seuss. Last year when the musical came to town during the holidays, it was our favorite night of the year. I love Christmas children's books. It's such a magical time of the year and a book just adds to the fairy tale nature of the season. Great picks! What an awesome collection! We are trying to encourage reading and books in our house so these would be perfect for us! 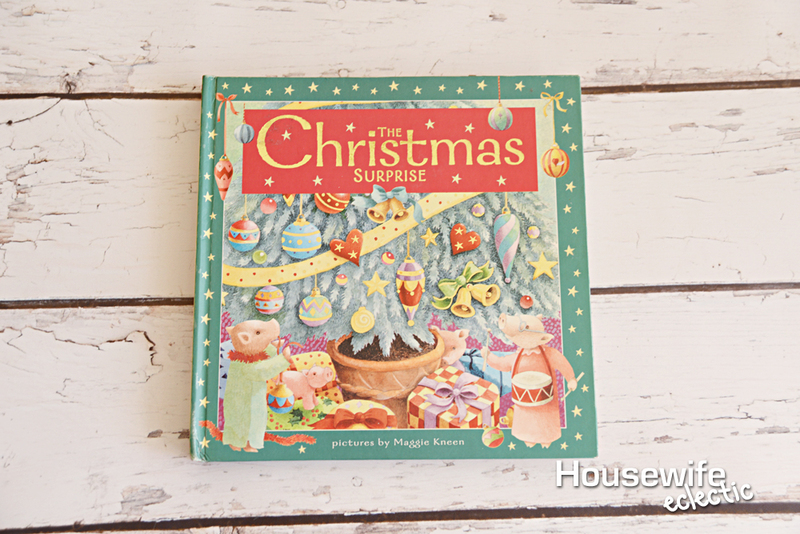 So many cute Christmas books to choose from! 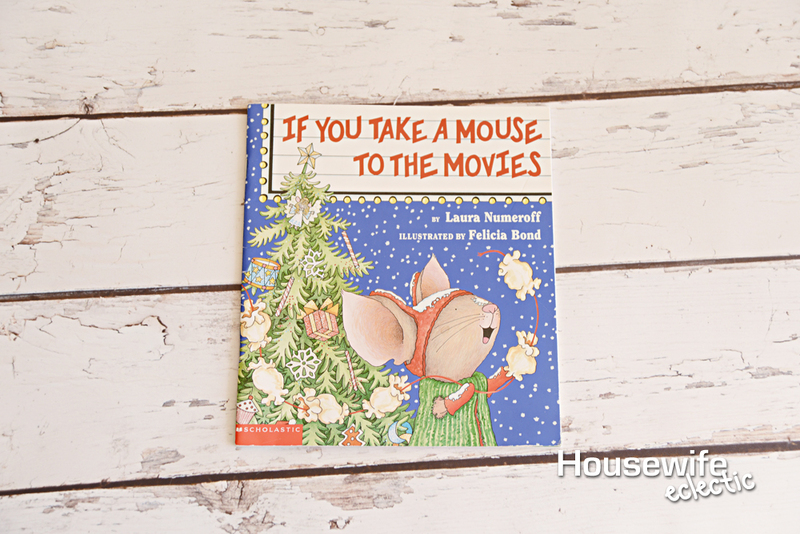 We have many of the "If you give a mouse…" books but I didn't know they had a Christmas one! I am getting that for my two boys. We love The Crippled Lamb! 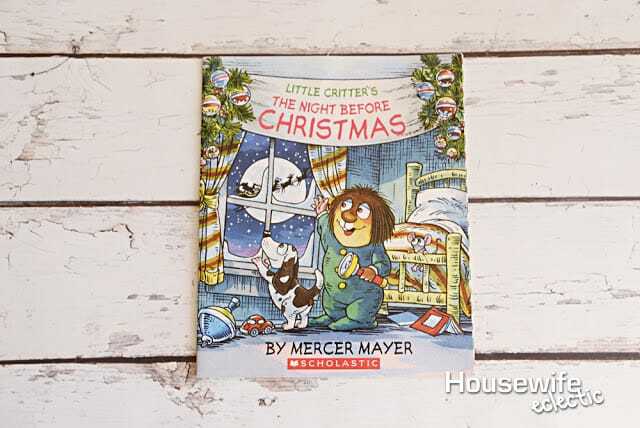 My kids also enjoy the Little Critter Books, so I will have to get them the Christmas one this year! I used to love to read as a child and still do to this day. I can't wait to share these books with my future kids, thanks for the share babe. I only have 2 of these. I love the idea of opening a book each night, my kids would love that. I need to pull out our Christmas books and see if we have enough. Some of these will be on my son's holiday wish list! I would love to do a "Book a night" instead of a traditional advent calendar this year. I love this! Actually going to pin it as well, You can never have enough to bring in the Christmas spirit and there's nothing like a good book. 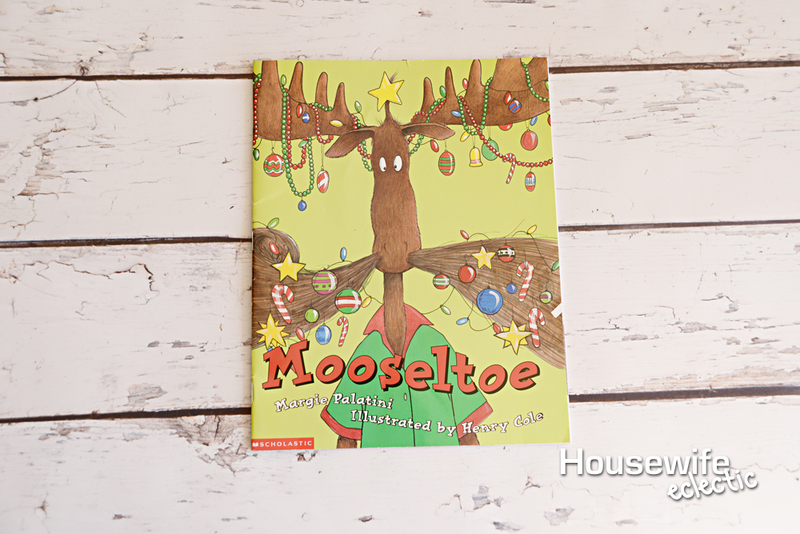 We have been looking for more books that are centered around the Christmas theme. We have younger kids that stay with us during the holidays and so these would be perfect. WE don't have any children so we don't have any use for these but at some point I am sure I will be grateful to unow that books like this exist out there for my kiddos! I LOVE this tradition! These are all such sweet books I can't wait to read them to my little girl! I can't believe we're all preparing for Christmas already! The year went by so fast! I think these books are lovely! And I'm sure my daughter would love these. So many great books! 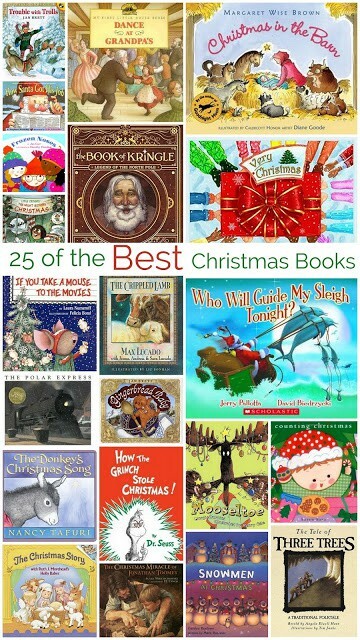 I'm definitely keeping these in mind for when I get ready to order some Christmas books for my boys! This is such a great list of books. My favorite is the Night before Christmas and at this point I have it memorized haha. Amazing list of Christmas books! I am always looking for some new titles to add to our collection for the holidays. some of these books were new for me and then others brought up so many nostalgic memories. Love the list! Wow some of these books are bringing me back to my childhood. I love this list! I love these Christmas books with pictures. They are perfect for starting family traditions of reading them during the holidays as a family. I love reading my son Chrismas books, we have quite a collection, but there were a lot here that we don't have so I will have to check the library and see about getting some of these! What a great tradition! I love giving books for Christmas! My go to Christmas gift for my nieces and nephews are usually pajamas and a book. THese are so great for the holidays! My son is obsessed with books right now and we're always looking for more! So many great books! Every year I put out a big basket of Christmas books and we enjoy one each night during the season. Omg so many awesome books!!!! Christmas books are my daughter and i's obsession!! We buy so many every year! Boy does this bring me back to my childhood! I love these books – they're such classics!